More Raca, director of altcineAction! 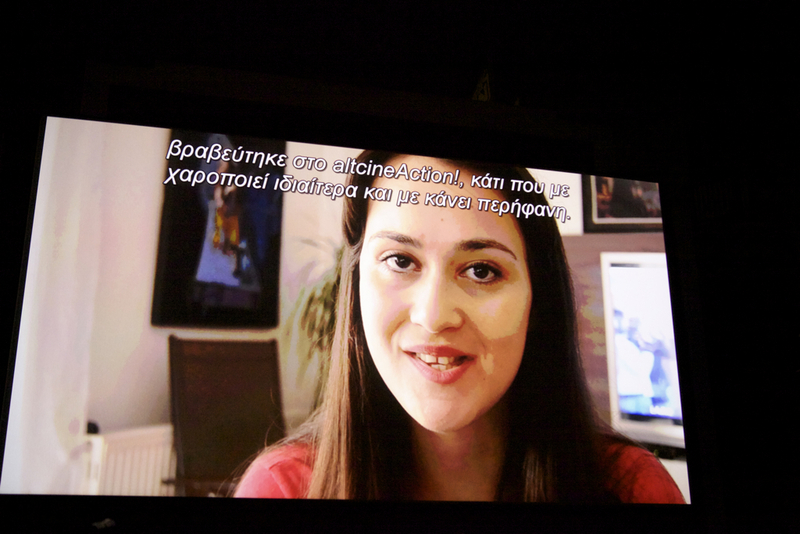 2014 Alida Dimitriou Award, Amel, shares her thoughts with us about how special and significance the Alida Dimitriou Award is to her, her first contact with Alida Dimitiou’s films and social issues, how she identifies these issues on Kosovar everyday life, on her desire to continue making social films and the importance of the comments, “a big step towards being a filmmaker”. 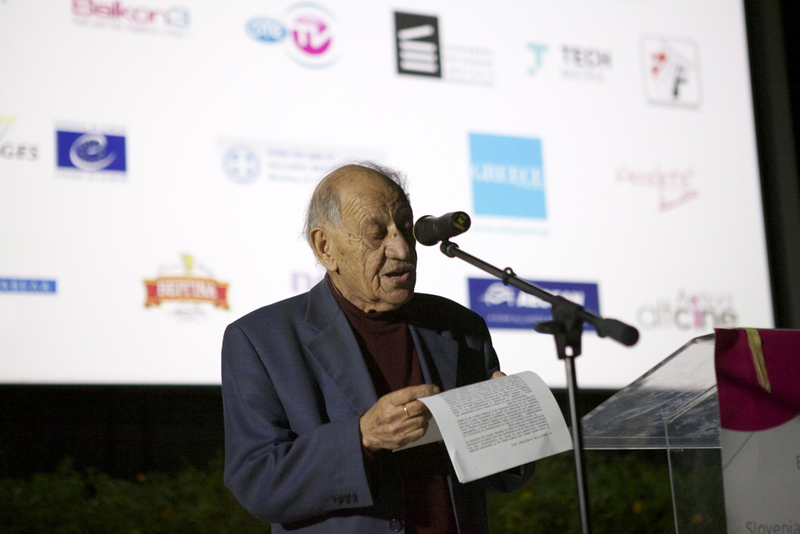 The young filmmaker’s prize, awarded to her “for the sobre and fresh approach of very important issues and the performance of the leading actres”, honors the memory of Alida Dimitriou, a great woman who committed her life to short films and social issues. The prize includes the whole post-production process for the winner’s next film, provided by the company 2|35 and Costas Varibopiotis’ sound studio. To be honest, this award has the most special part in my heart and my career, because it carries a name of a famous women director from Greece, Alida Dimitriou. I didn’t heard of her before and when I saw that an award at altcineAction! was named after her, it made me very curious to read more about her, and I was impressed by what I found out. This woman dedicated her entire life on making films and documentaries with social issues and her focus was always on the women struggling for their rights and their place in society, and that’s exactly what I want to do. I want to make films with feminine issues because I feel that there are many stories need to be seen, and film gives me the opportunity to tell them. I wish I had met Alida, it is very sad that she passed away, I wish I could have had a chat with her about films, politics and social issues concerning the world today. I have the feeling that we could have been great friends and she would have been very happy that there is a young filmmaker somewhere in Kosovo* with the same style and goals. This co-production will open a big door for me, I have a short film script for more than a year, waiting for the right time to turn it into a short film. It’s a story about a Kosovar woman trying to change the social norms regarding the property rights. By law, women have equal property rights with men; in practice, that is not the case. The presence of laws regarding equality of property rights is not a problem in Kosovo*, the social norms that subvert them are. Legally, women and girls are allowed to inherit from their parents or husbands. However, it is standard practice for women to ‘refuse’ their inherited property rights. I am very happy for the co-production, I have a feeling that all my ideas and visions for this film will be realized. The part I like the most about altcineAction! are the comments. It’s very good to know that people liked your film and very interesting also to read and find out how deep, intellectually and artistically they can describe the films. I even wrote to some, who made critics for Amel, to thank them for what they made me feel reading their comments. I think it’s good to allow the writing of comments all around the year. Personally, I would love to open the altcineAction! web site and read new comment for different films. It also gives people the opportunity to express themselves. AltcineAction! 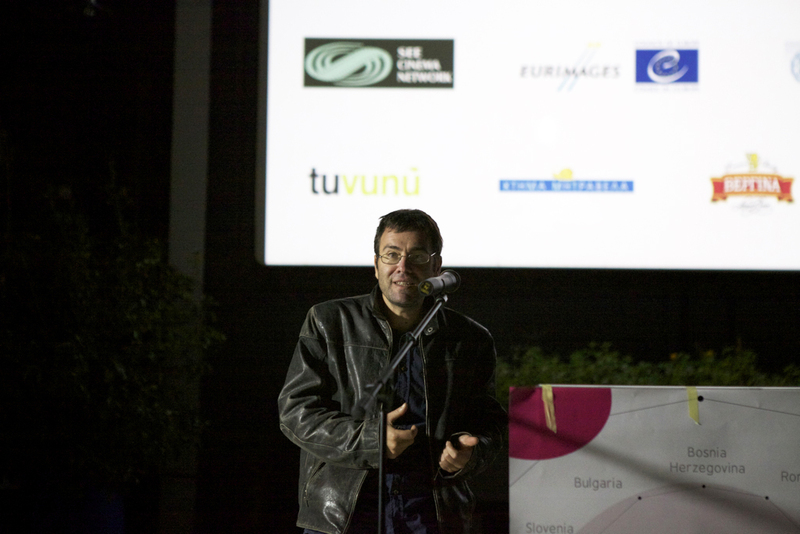 is quite famous around Kosovar artists, I heard about the festival last year from some of my friends. 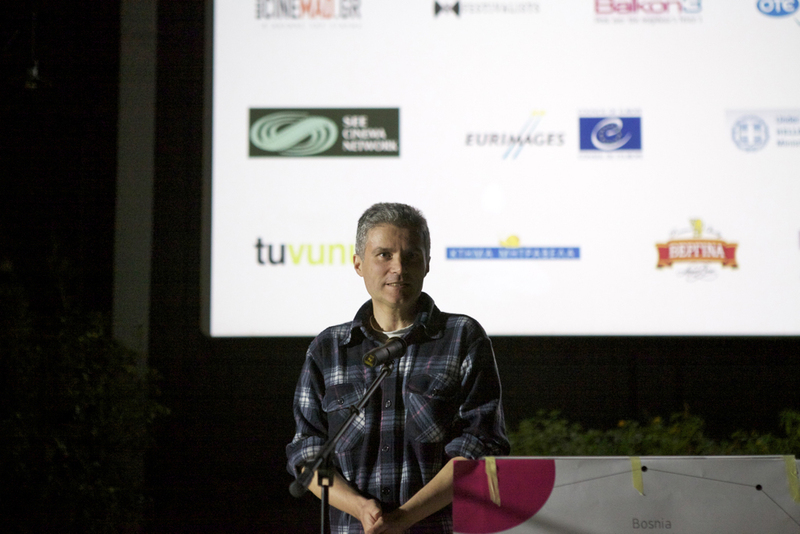 We were impressed by it mainly because of the credibility that it has created, also for the opportunity it gives to the Balkan filmmakers. It improves your future, with awards that include shooting or editing, and that’s what every filmmaker is looking for. Even if your film is not awarded, it gathers an international audience which can write critics for it, a big step towards being a filmmaker. I sent my short film to altcineAction! so it can be seen by a large audience. Amel carries a big issue and it’s very important for me that people watch the film and create an opinion about the social situation in my country. I would propose to every filmmaker to submit their film to altcineAction!, it really helps you to present your work.